If you haven’t heard by now, elrow will be coming to South Africa for a two-stop tour this year. Known as the craziest party in Ibiza, elrow brings its outlandish décor, live trapeze artists, confetti cannons, massive inflatables, pulsating rhythms and phenomenal music to The Sheds in Johannesburg and the Castle of Good Hope in Cape Town this March. 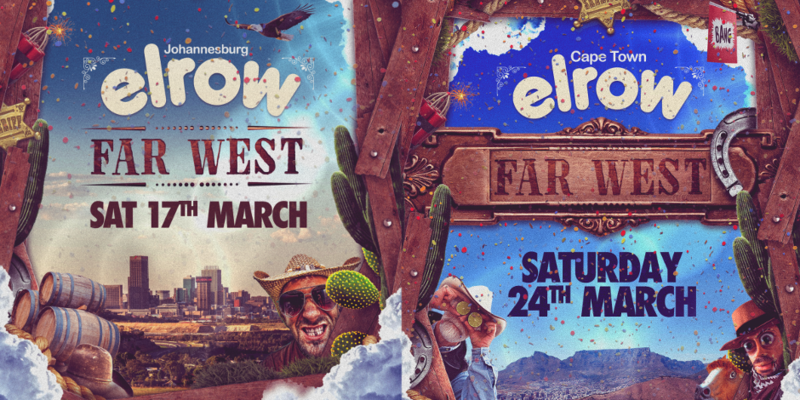 With over-the-top themes like like Bollywood, the Rio Carnival and Psychedelic Trip, elrow have confirmed Far West as the theme for the SA tour complete with the artwork for both parties. Tickets for elrow SA Tour available from Nutickets. We had a chat with moosefly ahead of their SA tour this weekend.